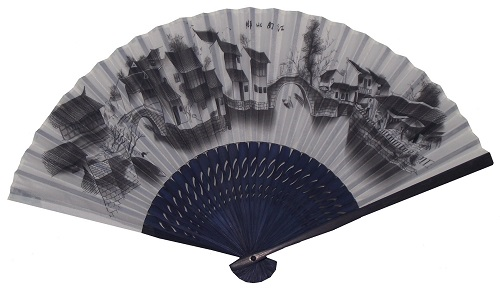 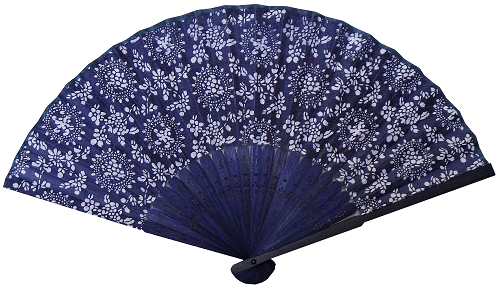 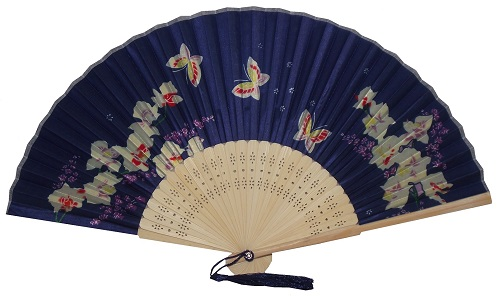 Cotton Chinese fans with a decorative dark blue bamboo fretwork. 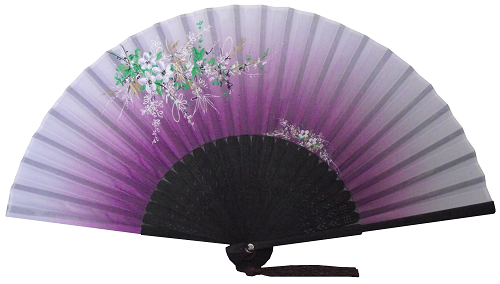 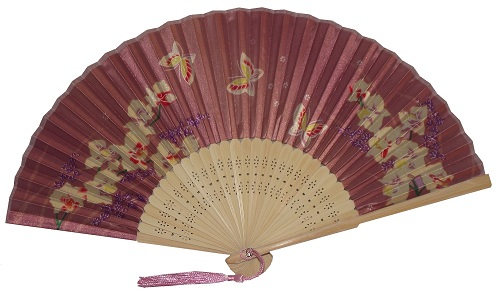 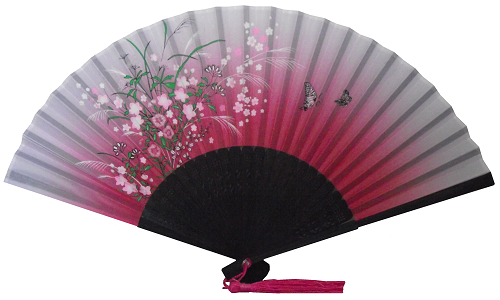 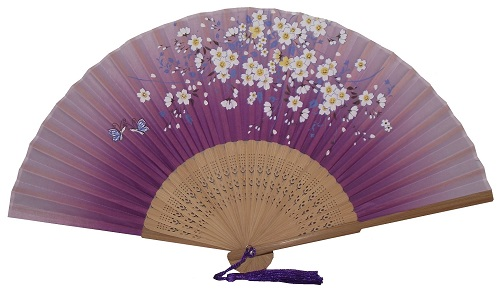 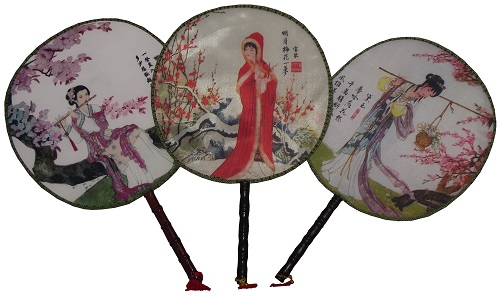 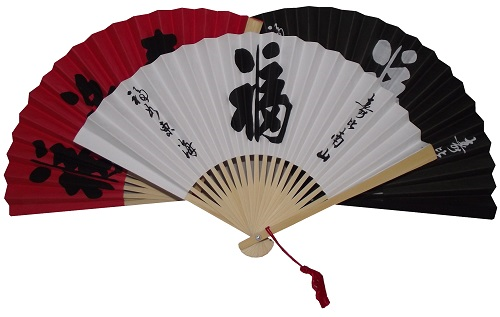 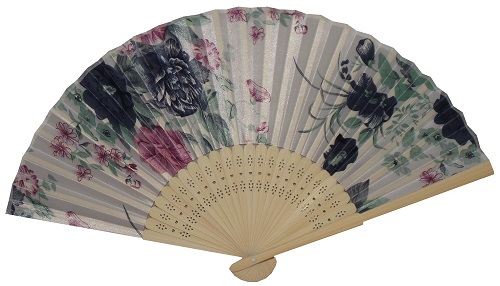 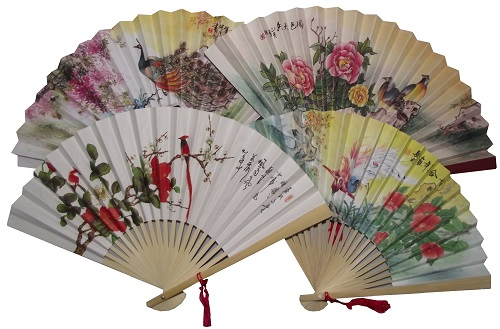 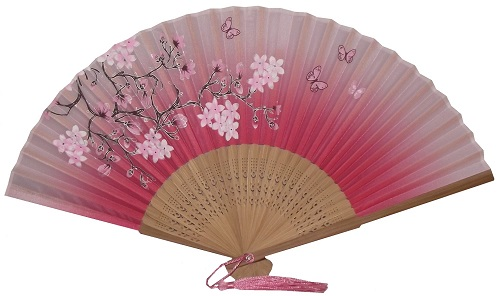 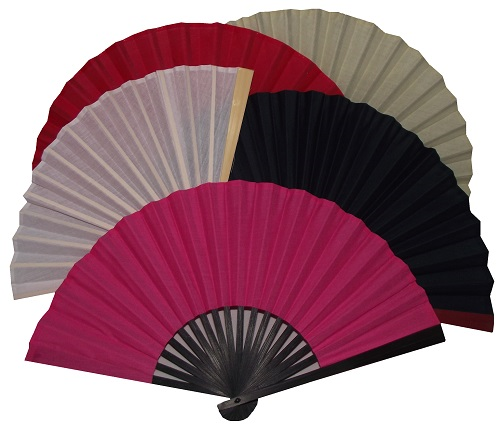 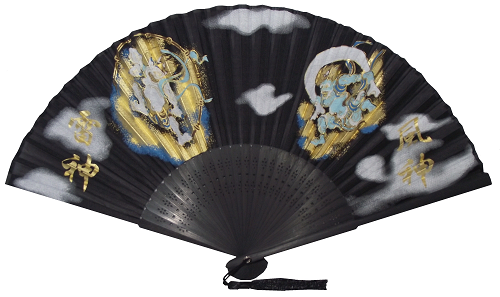 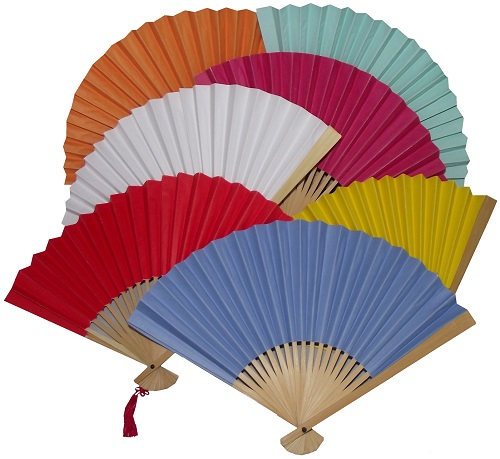 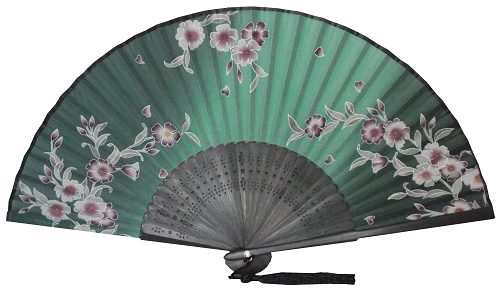 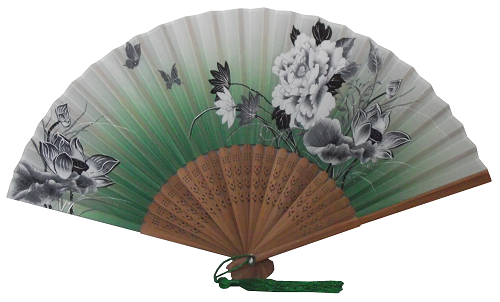 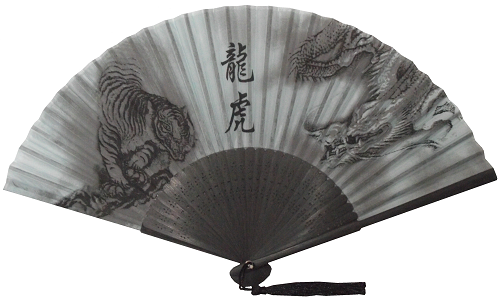 Made from 100% cotton fabric stretched over bamboo fretwork, these Chinese fans are more robust than paper fans, and are also attractive ornamental display items. 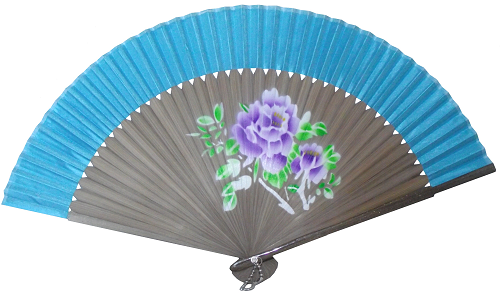 The fans have a radius of approximately 23cm when fully opened. 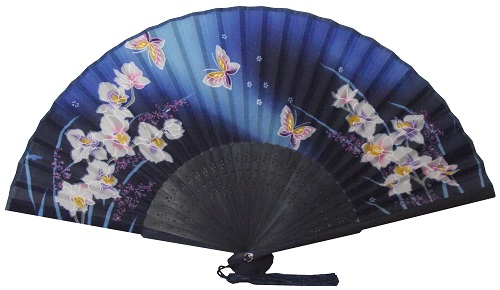 The blue colour cotton fabric is decorated with a selection of different white coloured oriental floral patterns. 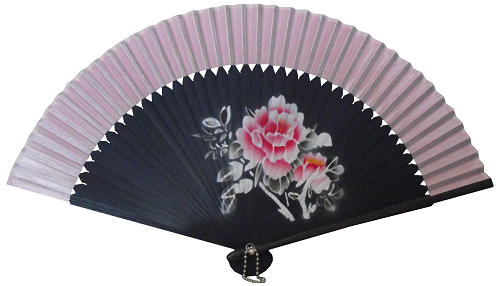 We will send a mixture of different floral patterns with your order.